Hi Bloggers, Welcome to Bloggershangout !!! 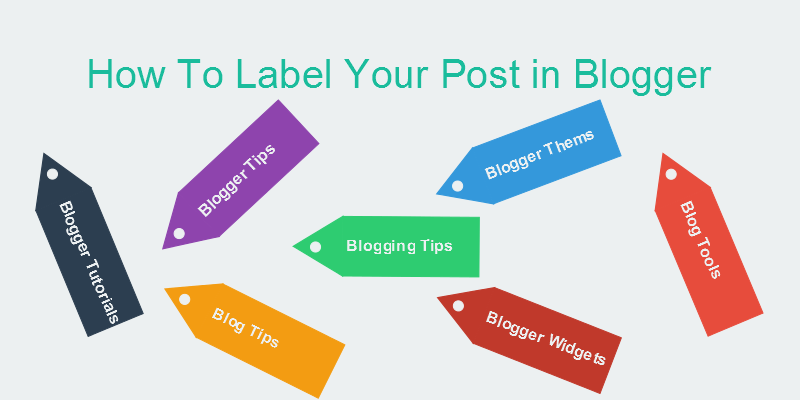 Labels are a way easily to categorize your blog posts in Blogger and make blog user-friendly. Labeling your post is the most simple thing in Blogger. In this blog, we will look at Labeling your Posts in Blogger. When you are writing a blog post in Blogger editor, click Labels section in right sidebar and enter the labels you like, separating them with commas as shown below. Previously used Labels or existing Labels will show up below the Labels section, and you can just click them to add them to the blog post in Blogger as shown below. When you publish the blog post, the labels will be listed with it. Clicking any one of the labels will show a page containing only posts related to that label in Blogger. If you blog about a lot of different subjects, then labels are handy to logically categorize the blog content, so that readers can choose to view all of your posts on single label at once. If you have a team of contributors, then you could also give label name as contributor name, so your readers could easily read all the posts by anyone of them. Feel free to come up with creative ideas and use it to take your blog to next level. Labels are extremely useful to generate related articles/posts of same label, which in turn improves blog page views and also reduces bounce time on your blog. Let me know your creative use of labels in your post to logically categorize the blog posts in Blogger. click youtube thumbnail generator to try it out. What is Youtube Thumbnail Generator? Youtube Thumbnail Generator is No. 1 thumbnail generator service which grabs and displays youtube generated thumbnails from videos. It is Simple, Fast, Free and Supports eight types of Youtube URL's. Last week my friend had bought a 32Gb Transcend (USB Flash Drive) pendrive for 350 Rs/- from a stranger who came to his office. After some time they connected pendrive to PC and started to transfer data from PC to pendrive and they observed that it is taking too much time to transfer data. After some time he made a call to me and explained the problem, then i started to search for the appropriate information in google about Transcend products and i found that his transcend pendrive was a counterfeit (not original) as shown below. Step 1: Go to Transcendusa website and move to the bottom of that webpage and then click product verification link and it renders product verification webpage. See the screenshot present below. Labels are the easy way to maintain a logical category structure on a blog and it is extremely useful to keep blog organized and user-friendly. If you blog about a lot of different subjects, then labels are handy to logically categorize the blog content, so that readers can choose to view all of your posts on single lable at once. In Blogger, managing labels is quite simple. 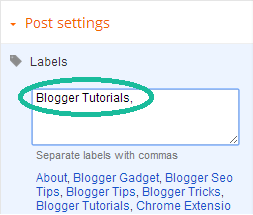 In this post, we will look at adding new label to Posts in Blogger. 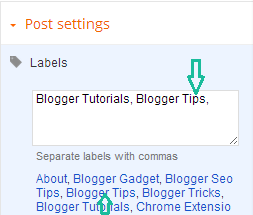 First, we will look at adding single/multiple labels to single post in blogger. When you are writing a blog post in Blogger editor, click Labels section in right sidebar and enter the labels you like, separating them with commas as shown below. Previously used Labels or existing Labels will show up below the section, and you can just click them to add them to the blog post in Blogger as shown below.